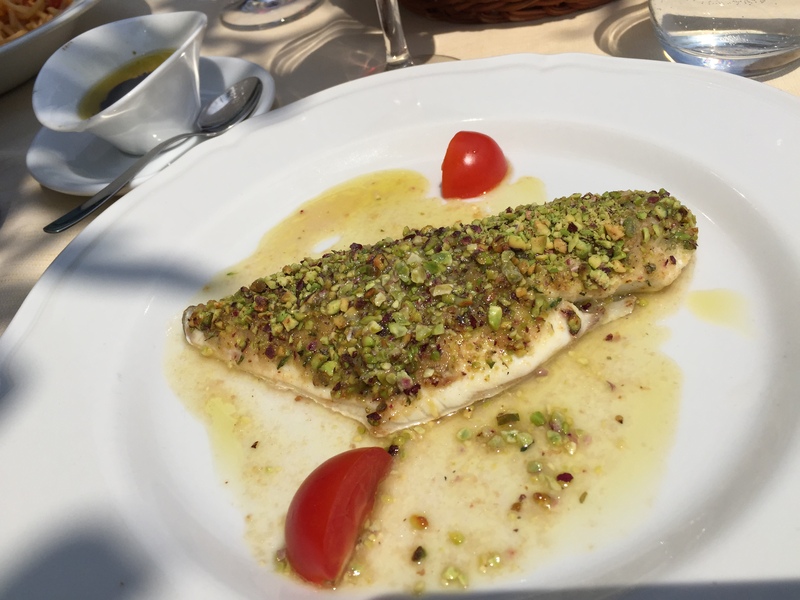 Southern Italy is known for its fish. 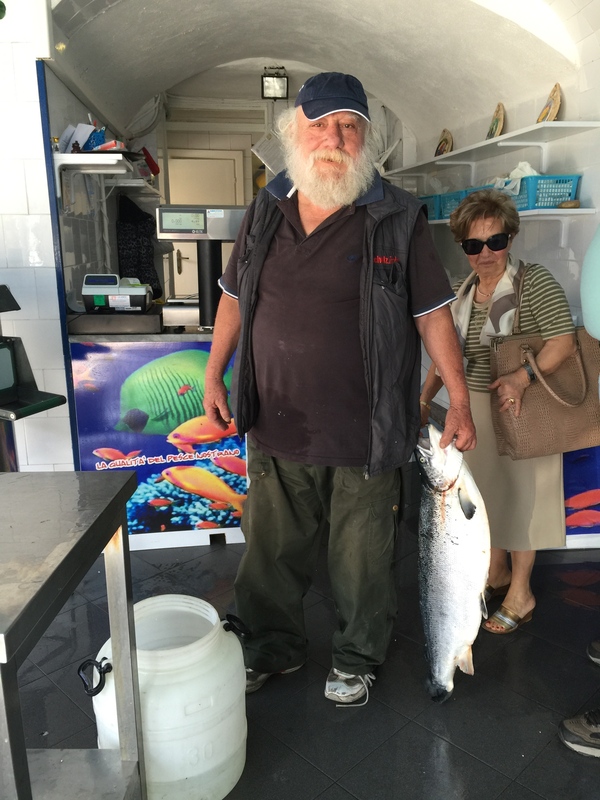 Where we are in Campania there is always great fish. Off the coast and to the south is a major swordfish area. The fish is always fresh. You can get many kinds of fish plus shellfish. Shrimp, calamari and octopus is great. We eat fresh fish in the local restaurants or buy it in a fish market to prepare at home. As we shop for fish, we often see a local fisherman with his catch in the store. It is so different eating fish caught that day for dinner. The taste is fresh and delicious. Italians don’t even have a word for fishy. Often the fish is over pasta but you can also have it on a plate as a steak. One difference is the fish all have heads on when served. The Italians look at the eyes to determine freshness of the fish. They are experts at cleaning the fish with a fork and knife. The clams are tiny and so tasty. If you don’t like clams because they are chewy, you will like these because they taste so good. Fish is never over cooked. It is never covered in sauces. It is served with a little salt and you taste the freshness of the fish. 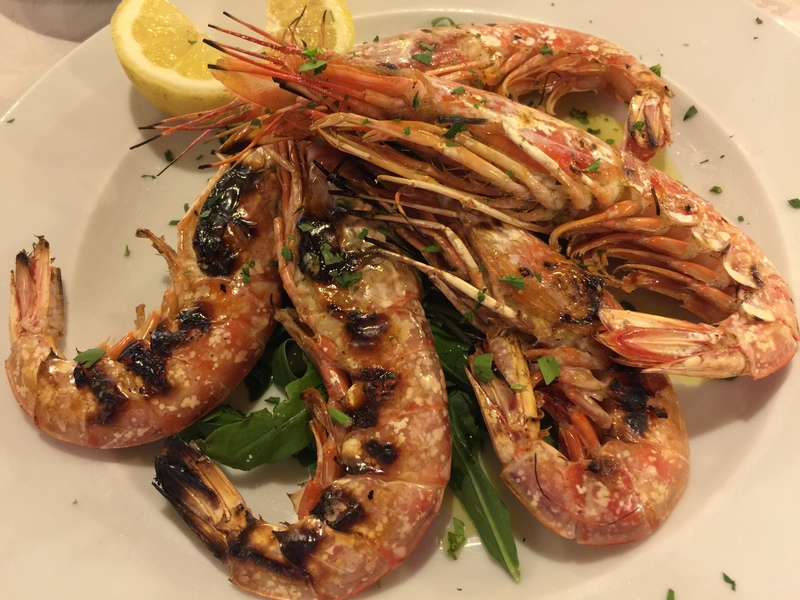 When in southern Italy, try the local fish. Enjoy fish at its very best. Life here is rally Dolce far ninete! 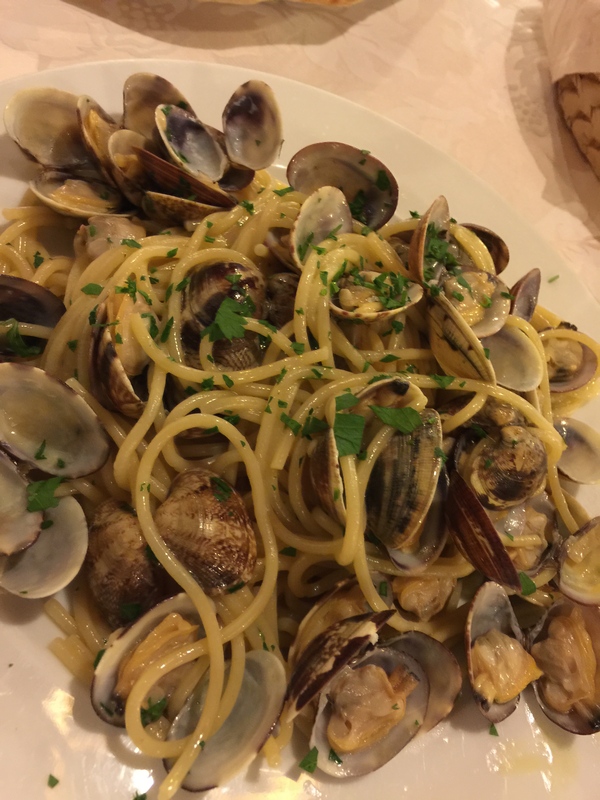 Oh the joys of fish and seafood in Italy! It is very tasty, and they know just how to serve it. Nice post, George….now i’m thinking fish for dinner!